Olympus supports precision medicine research with imaging systems that enable emerging technologies. The USC-Olympus Innovation Partnership in Multiscale Bioimaging is working to demonstrate the clinical application of new technologies that combine the workflow of a surgical biopsy and primary diagnosis with microscopic tumor characterization. The result - precision medicine and individualized treatment plans with aim to improve health outcomes and drive patient-centered healthcare worldwide. The University of Southern California and Olympus have announced their first-ever co-development agreement, representing a multiscale partnership designed to advance research into the prevention, diagnosis, and treatment of cancer through specialized precision medicine. 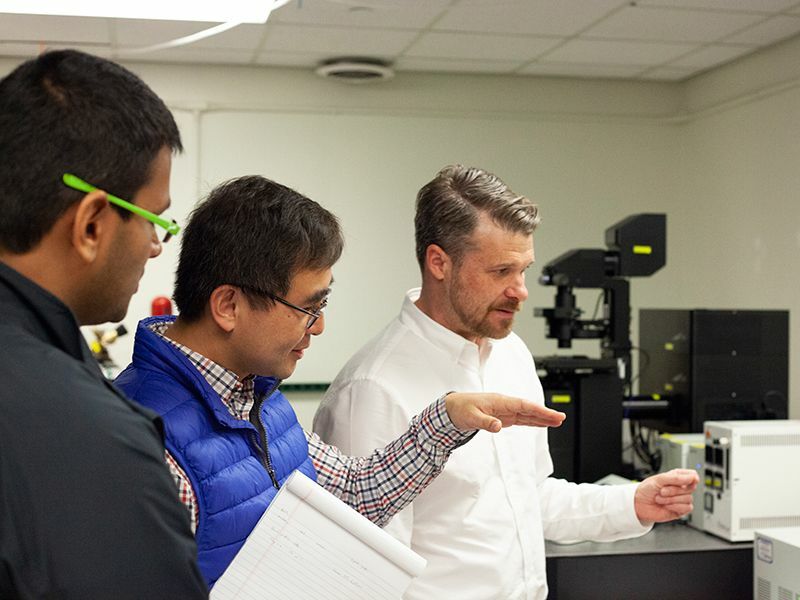 USC Ellison Institute research scientists (from left), Harish Sura and Seungil Kim, discuss optimization parameters for confocal imaging of 3D patient-derived cancer organoids. 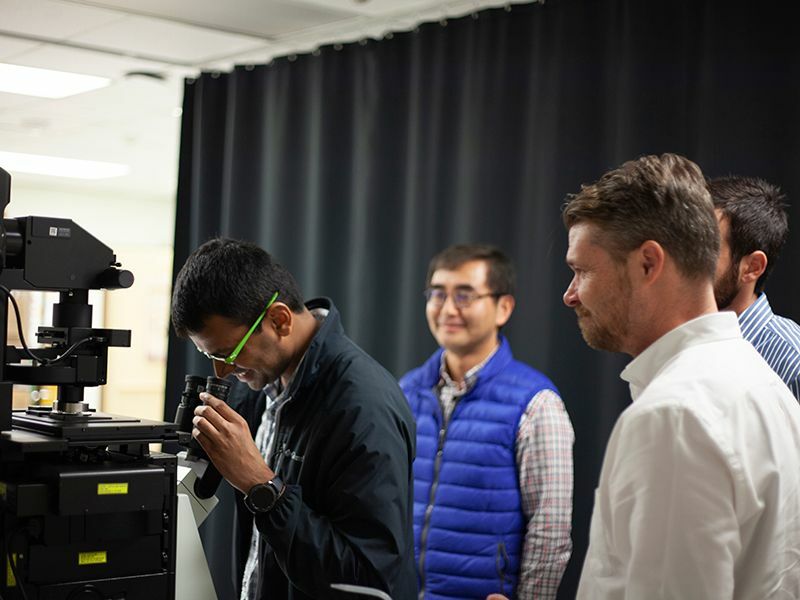 USC Ellison Institute research scientist, Harish Sura, examines human cancer cells in high-res 3D, while colleague, Seungil Kim (background) and Olympus confocal microscopy specialist, Shane Andrews (foreground), look on. 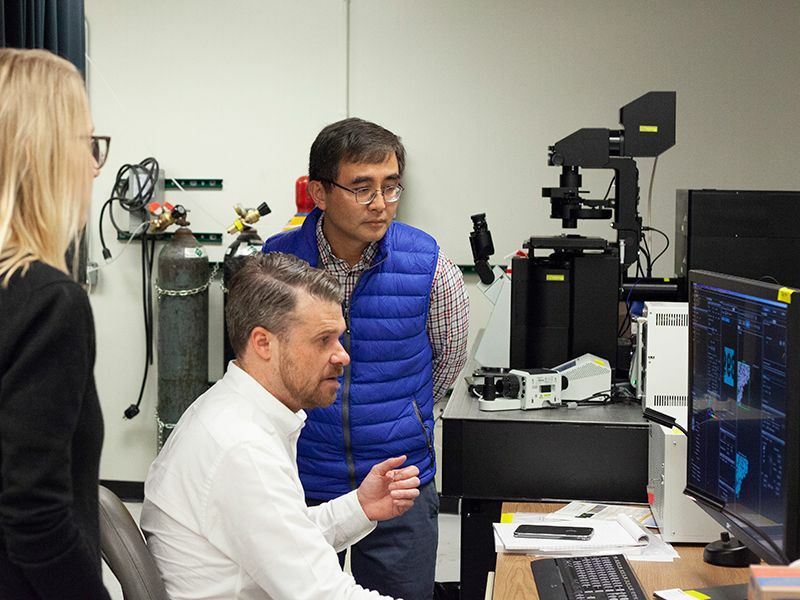 Olympus confocal microscope specialist, Shane Andrews (seated) provides training on optimizing FV3000 data analytics to USC Ellison Institute research scientist, Seungil Kim. "Cancer medicine is at a crossroads. Genetic research has shown that hundreds of genes are involved, making it difficult to envision how genetic approaches and standard treatments will cure cancer. 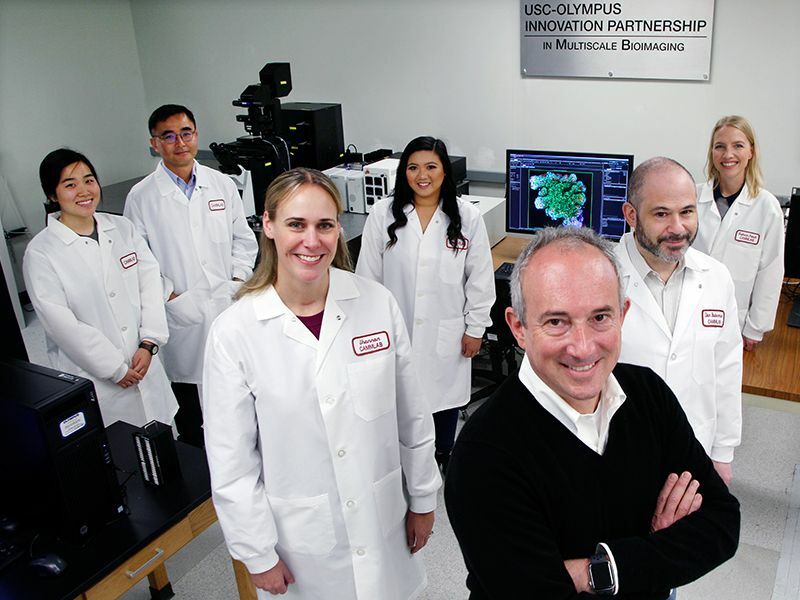 Because of this, USC and Olympus have assembled a powerful team of clinicians and imaging technologies to advance diagnostic capabilities toward precision medicine." – David Agus, M.D. "Our partnership with Olympus is accelerating our ability to develop and advance technologies, helping us create the tools needed to move research forward, benefiting patients sooner, and widening the horizons of possibility in our current work." – Scott Fraser, Ph.D. 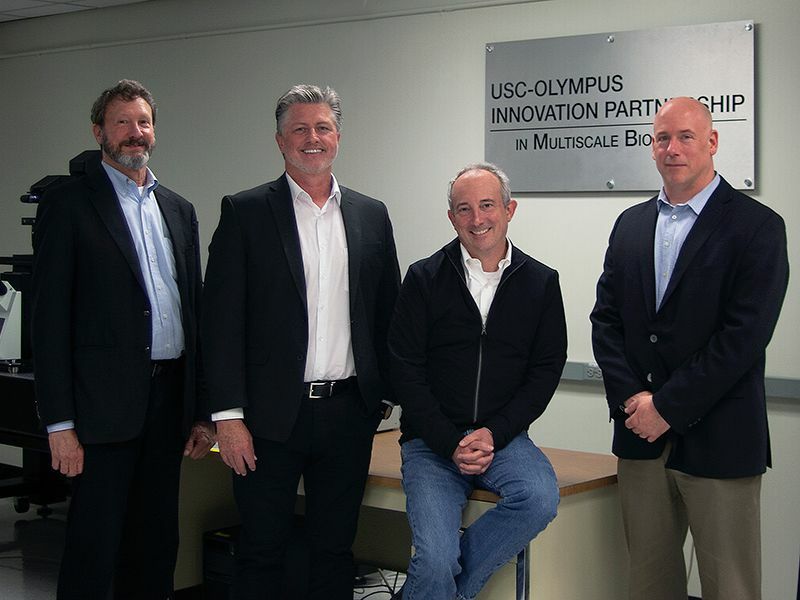 The new USC-Olympus Innovation Partnership in Multiscale Bioimaging combines Olympus technology with the expertise of two renowned labs at USC, the Lawrence J. Ellison Institute for Transformative Medicine and the Translational Imaging Center (TIC). The Ellison Institute, named after Larry Ellison, founder of Oracle, aims to leverage technology, spark innovation and drive transdisciplinary research to redefine cancer and wellness in the 21st century. By harnessing provides research aimed at understanding complex biological processes that take place within a tumor and patient. The TIC focuses on adapting existing and developing new instrumentation for the imaging of biological structure and function. These innovations enable scientists and physicians to observe dynamic intracellular events as they take place within living tissues. Over the years, the TIC has worked extensively to image the changes that take place within a developing embryo. More recently, TIC has expanded its research programs to include capturing and measuring complex interactions within disease models, including Multiple Sclerosis, Alzheimer’s disease and cancer. 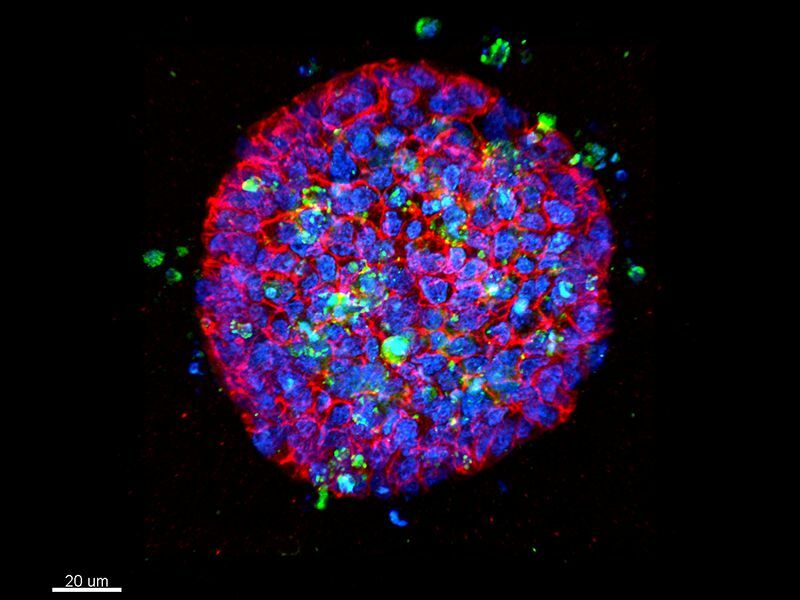 High-resolution 3D images of human colorectal cancer patient-derived organoids. Proliferating cells were labeled by Ki-67 immunostaining (Green). Cell-cell junctions are shown with E-cadherin immunostaining (Red). Cell nuclei were labeled with DAPI (Blue). Colorectal cancer patient organoids show dynamic drug responses with Staurosporine (protein kinase inhibitor) treatment. Apoptotic cells were labeled by cleaved-caspase 3 immunostaining (Green). Cell junctions and nuclei are shown with Red and Blue. Dead cells (both green and blue labeled) are detached from organoids. 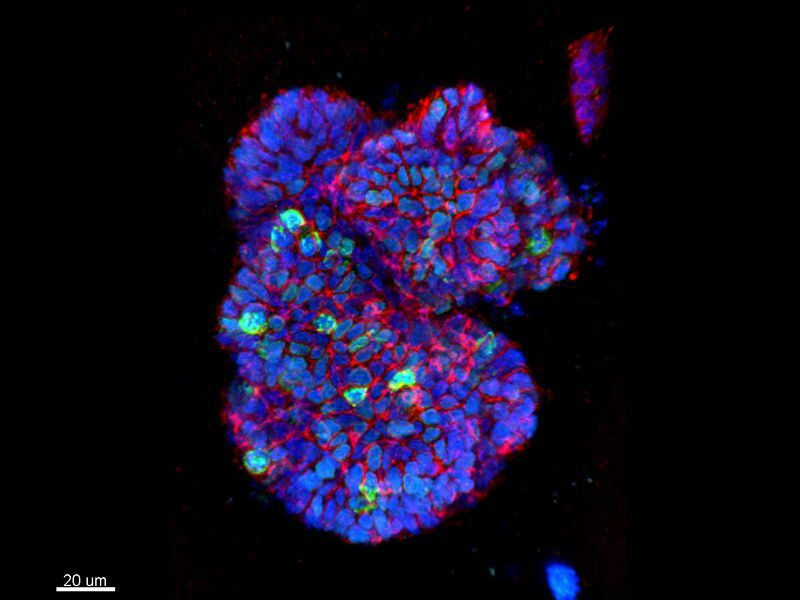 Colorectal cancer patient organoids form mini-gut-like 3D structures. Proliferating cells are shown by Ki-67 immunostaining (Green). Cell-cell junctions were labeled by E-cadherin immunostaining (Red). Cell nuclei are shown with Blue. Object recognition and cellular characterization of patient derived tumor organoids. 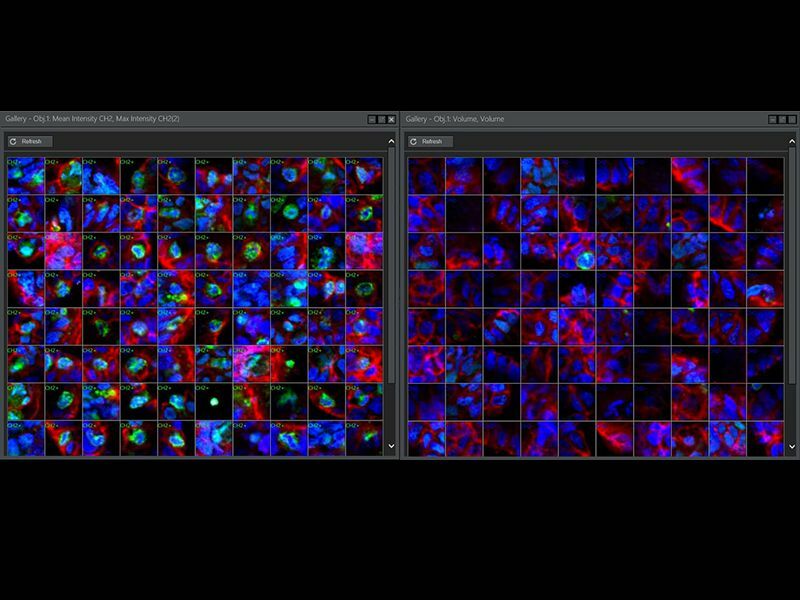 Gallery of cells identified from Olympus 3D object recognition in patient derived tumor organoids. The USC-Olympus Innovation Partnership is guided by the scientific leadership of two internationally-recognized trailblazers, medical oncologist and researcher, David Agus, M.D., and bioimaging technologist and researcher Scott Fraser, Ph.D. By bringing together their respective, multidisciplinary teams in a coordinated research effort, in collaboration with Olympus, we will develop breakthrough technologies to enable multiscale bioimaging – single cells, live cells, tumor microenvironment, organ systems and the whole patient. Dr. Agus is a Professor of Medicine and Engineering at the Keck School of Medicine at USC and the USC Viterbi School of Engineering. He is also the Director of the USC Center for Applied Molecular Medicine and the USC Westside Norris Cancer Center. Dr. Agus is the Co-Director of the USC-National Cancer Institute Physical Sciences in Oncology Center together with Danny Hillis. In addition to being the head of the TIC, Dr. Fraser is the Elizabeth Garrett Chair in Convergent Bioscience and Provost Professor of Biological Science. A biophysicist by training, he is world-renowned in imaging the molecular signals, cell motions, and tissue changes involved in embryogenesis and other complex biological events. Dr. Fraser is also widely recognized for the development of specialized light and MRI microscopy techniques. As the Head of Olympus Scientific Solutions Business Unit, Toshi Okubo is also an executive officer of the Olympus Corporation. During his twenty-seven-year career at Olympus, including a decade of business experience in the US, he has been leading business expansion on “test, measure, image, and analyze” solutions for both the Life Science and Industrial domains, and has helped grow the Olympus Scientific Solutions business into an industry leading company. Yujin Arai is the R&D Division Manager of Scientific Solutions for the Olympus Corporation. Yujin has been a member, manager, and general manager in Life Science microscopy for twenty-seven years. Yujin has been mainly focused on high end life science microscopy systems, and was on the product teams for the LSC101 (laser scanning cytometer) and the FV300 (laser scanning microscope). He was product leader of the FV1000 and of cellSens imaging software, co-developed with OSIS (Olympus Soft Imaging Solutions). Before becoming R&D Division Manager, Yujin was group leader and general manager of the software and electrical development team. Lee Wagstaff is the Vice President of Sales and Marketing for Olympus Corporation of the Americas. Lee has been an Olympus team member in the life sciences microscopy business for twenty-one years and is deeply committed to helping people throughout the Americas live safer, healthier, and more fulfilling lives. Lee has been a champion for people’s health throughout his career, having spent ten years prior to joining Olympus with Baxter Heathcare focused on treating cardiovascular disease through the safe and effective development of artificial heart valves. According to the Precision Medicine Initiative at the U.S. National Institutes of Health, precision medicine is defined as, "an emerging approach for disease treatment and prevention that takes into account individual variability in genes, environment, and lifestyle for each person." This approach enables doctors and researchers to predict, with greater accuracy, which treatment and prevention strategies for a particular disease will work in which groups of people. Precision medicine is in contrast to a one-size-fits-all medical approach, in which disease treatment and prevention strategies are generated for the average person in a given population, with little consideration to individual differences. According to the U.S. National Research Council, personalized medicine is an older term with a meaning similar to precision medicine. However, there was growing concern among doctors and researchers alike that the word personal could be misunderstood to imply that treatment and prevention strategies are being developed specifically for one individual, without taking into account all corresponding genetic, environmental, and lifestyle factors. The National Research Council, therefore, prefers the term precision medicine to personalized medicine. Pharmacogenomics is the study of how genes affect a person’s response to particular drugs and is a key part of precision medicine. This relatively new field combines pharmacology (the science of drugs) and genomics (the study of genes and their functions) to develop effective, safe medications and doses that are tailored to variations in a person’s genes. What is precision oncology or precision cancer medicine? The terms precision oncology and precision cancer medicine can be used interchangeably. Precision oncology involves identifying the best possible treatment and prevention strategies for individual patients, and using and sharing this knowledge to advance precision oncology research for the population at large. The capacity to start the right treatment at the right time for the right duration can save patients from unnecessary treatments, as well as ensure that an optimal sequence of treatments are being employed from the outset. Researchers use patients’ unique molecular data, combined with their clinical data and environment, to achieve precision cancer medicine. We need a new classification system or taxonomy of human health and disease, one that allows for the continual integration of molecular data with clinical data, environmental data, and health outcomes in a dynamic, iterative manner. Dramatic advances in molecular biology have enabled rapid, comprehensive, and cost-effective analysis of clinical samples, resulting in an explosion of disease-relevant, biomarker data with the potential to significantly change human disease classification. Discovery research continues to define, at the molecular level, the processes that drive physiology. These developments, coupled with advances in information technology—artificial intelligence—and electronic health recordkeeping, provide a transformative opportunity to create a new system to classify disease. Figure 1: Creating a new taxonomy first requires an “information commons” in which data on large, diverse populations of patients become broadly available for research and a “knowledge network” that adds data integration with evolving scientific knowledge. Source: U.S. National Academy of Sciences. Cancer is a complex disease, and tumors are rarely exactly alike. A treatment that works for one patient may not work for another, so providing tools to assess the effectiveness of anti-cancer compounds tailored to an individual patient is an important part of precision medicine. Olympus provides a range of tools to assist in this process including endoscopes for surgical biopsy, histology microscopes, automated whole slide imaging microscopes, 3D confocal scanning microscopes, and 3D analysis software that can provide statistical information about tumor spheroids. Minimally invasive, multimodal endoscopes enable physicians to precisely locate the tumor and collect samples for biopsy with minimal disruption of surrounding tissue. In traditional histology, the biopsied tissue is stained, enabling a trained pathologist to examine it using a microscope or for the tissue to be scanned by a whole slide imaging microscope. New 3D/4D cellular and molecular characterization methods are providing physician-scientists with more information, including the capacity to compare changes in live-cell imaging over time – the 4th dimension. Live tumor tissue is biopsied from the patient in the clinic and transported to the research lab, where the tumor tissue is dissected into single cells and placed in a series of mini-well microplates, where they grow into spheroids. Because each microwell is self-contained, researchers can test different compounds to determine which combination might be the most effective weapon in fighting an individual patient's tumor. 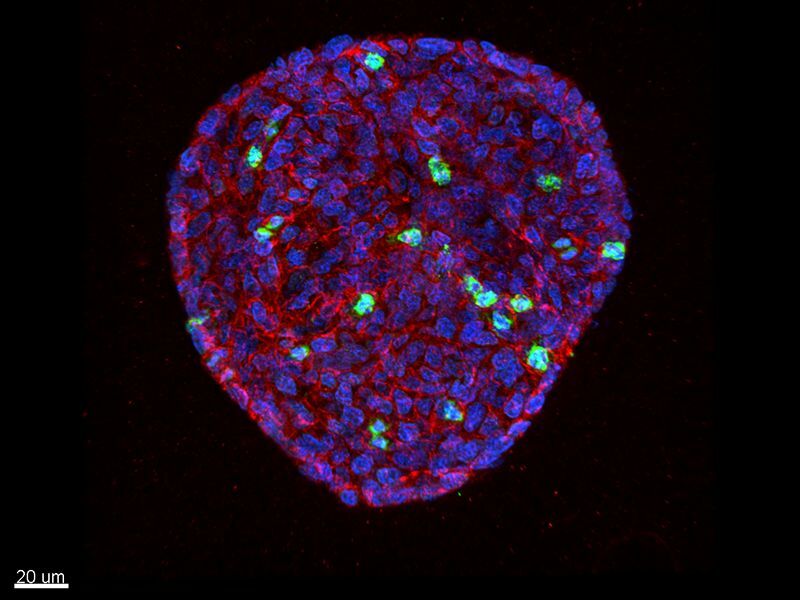 Scientists can also capture high-resolution 3D/4D images of the spheroids to obtain critical information about the individual patient’s tumor, including the number and type of cells, morphology, cell growth or death rates, and then ultimately, use this information to help monitor the effectiveness of the latest anti-cancer compounds. 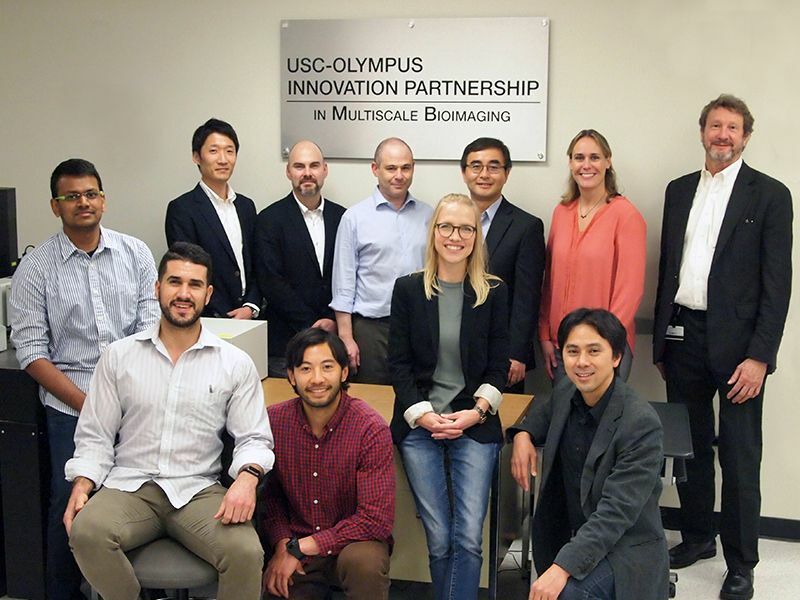 USC and Olympus are working toward a future where technologies and scientific knowledge come together to provide a deep understanding of individual patients and ultimately to improve health outcomes and transform lives.